This is my last weekend links post of 2015, and it feels a little light on substance, probably because about 80% of what everyone is publishing this week is year-end retrospectives and “Best of 2015” lists. Goodness knows, I’ll be doing my own round of those this coming week. In the meantime, it doesn’t help that I’ve also been making a last-ditch effort to make up for the reading slump I had after I broke my foot back in May. That said, I’ve still managed to see a bunch of cool stuff on the internet this week. There’s this great piece about Erszebet Bathory from the Hairpin. WebUrbanist showcased some rad pre-fab Hobbit houses. Sqrrl is a neat art project on display in New York. If you’re trapped in the Mid West (or somewhere equally remote) like I am, you can still check out the website for the exhibit. The Mid West isn’t entirely devoid of culture, of course. My best Christmas gift of the year was the tickets my parents gave us to see The Revolutionists, a new feminist play premiering at Cincinnati’s Playhouse in the Park. If you’re in the area in February, I highly recommend checking it out. I know I’m pretty excited about it. While I’m not a huge Harry Potter fan, I did enjoy seeing racists go nuts this week when stage!Hermione was cast as a black woman. Still, there are good arguments to be made that this casting decision isn’t the great win for progressivism that some are framing it as. 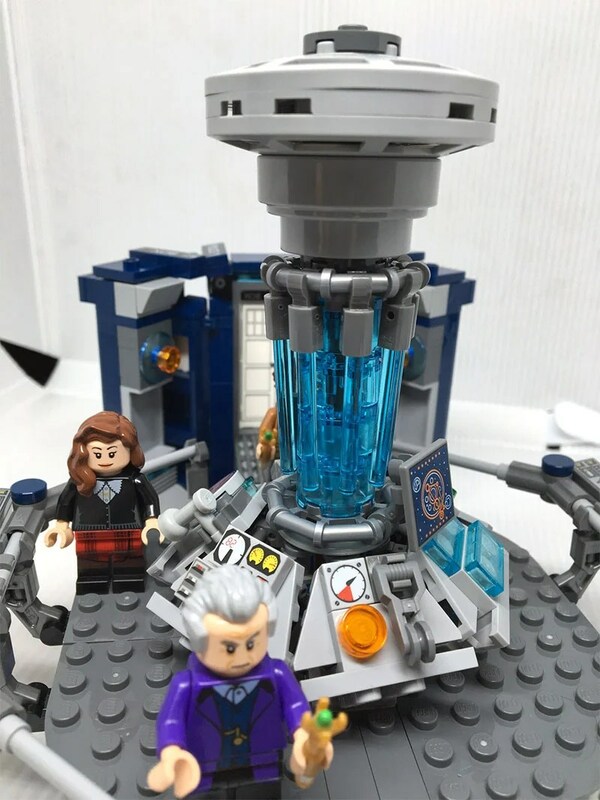 There’s now a Doctor Who Lego set, and it’s amazing. Certainly my ardor for the show has cooled during the Moffat era, but the Lego Tardis looks excellent. Andy Weir is writing a new book–with a female main character. I know Christmas is over, but this project of Yule log alternatives could be useful if we ever get some wintry weather. io9 and The Daily Dot both address accusations that Rey from Star Wars: The Force Awakens is a Mary Sue. Spoiler: she’s not, and you’re probably sexist if you think so. Black Gate has a list of fantastic reference and non-fiction books. The Mary Sue talks about why feminist criticism is important for video games as an art form. At The Book Smugglers, Sunil Patel writes about his first foray into reading romance novels. The Atlantic examines the perennial sci-fi obsession with imagining the subjugation of white people. I love this Ars Technica piece on the fact that hating parts of Star Trek is essential to loving Star Trek. Bookworm Blues has a list of some of the most anticipated new books of 2016. At the Barnes & Noble Sci-Fi and Fantasy Blog, editors offer their picks for what they think we should be reading in the coming year. Previous PostThe Expanse: “Remember the Cant” is basically the Chrisjen Avasarala Show (which is great)Next PostMagazine Review: Fantasy Magazine, December 2015, Queers Destroy Fantasy!